• Fame, become feared across the seas. • Amass a loyal following. Before his switch into a cyborg, Victor had swept back light gray, piercing blue eyes and carrying a few fine features, most people had reckoned him to be quite the looker before his transformation, but afterwards? he had dramatically change in appearance, a right eye implant which is glowing red, a black metal jaw implanted to help him speak better after his broken jaw, his left hand is replaced with a cybernetic arm meanwhile his right arm is still completely organic, his chest is covered with cybernetic armor and implants which he covers with a black coat, his legs aren't as heavily cyborg-like compared to the rest of his body though, for his lower body he wears long black pants with black boots. Personality: If there was one word to describe Victor, it can be taciturn. He is known as a man of a few words and does his best to brief up any explanation needed, and once that's done he just returns to his quiet self. He knows his cybernetic appearance is intimidating and moreso his shadow power, and uses that to his advantage to inspire fear into his opponents. Victor had started off as a decent enough kid in his childhood, but not having too much for himself, he mostly gave more of himself to others then him, as a result of this he started to grow a greedy aspect of him in his adult years, making him grow more sharp and pragmatic as a result, seeking to grow his power and to his needs before others. He prefers not to instantly fight, as he believes he can save himself the energy and talk himself out of fights more then actually fight them. He doesn't hesitate when push comes to shove however if he does have to fight you. As cold as he might seem, even to his own crew members he has a level of respect to those who are actually loyal to him, those who "blindly" follow him to so to speak. He also do consider friends of people who understand what he wants and what he's aiming for, and still accept him for what he does. To basically sum up his personality, he's cold, taciturn and sometimes depressing but appreciates those who still take the time to be friends with him anyway. "... You're a curious fellow, aren't you." It's unknown to most people as to how Victor became the man he is today, Victor himself is usually very taciturn not only in personality, but much more when it comes to revealing details of his past. The only details known that can be rightly assumed or are known is that he comes from a poor upbringing on the island, being on the receiving end of daily illegal activity and sometimes the corruption of marines. At a young age he resorted to begging, sitting on the sidewalk for people's generosity and due to his really young age, most people were generous but it was at a rather shady side of town, people stole from each other all the time and to make sure that didn't happen to Victor, he had to pay a certain percentage of what he earned to a particular gang for "protection" money, as long as he paid them Victor could throw their name around for protection which made most people who even thought about robbing Victor to back off. He mostly did this to look after his sick mother, with less food being spent on food they needed and rather medicine that kept her alive. Victor didn't know who his father is however, but from what his mother told her at the time he only knew that he was a scientist of some kind, too work-focused and too cold which is why she left him, and took Victor with her. Every time Victor brought up his father or suggested going to his father to help with their situation, she just cringed at the mention of it and shoved the idea off. There was only so much that Victor could make in money through begging, so he had to resort to more illegitimate activities, doing favors for the gang in order to get some extra money and even going to the point of thievery, as much as he despised it but the amount he made was very profitable. Unfortunately, he didn't get a chance to spend this new amount of money for what's needed after his mother had passed away, her sickness claiming her life. He grew into a state of depression, and just tried to cope with it by doing more jobs, falling further into the underworld of Illusia. As he grew older, he started to sweeten his relationship with the gang that he had previously paid protection money to, he kept doing jobs for them and wanted to move up. When he thought he had the guts to go dirty, when push came to shove he couldn't. He discovered that the gang had marine patrols on a payroll, where they would turn a blind eye to their activities as long as they paid for it. One such scenario is that a certain someone failed to pay "protection" money on time, and decided to make an example of him. Victor was meant to be the one who pulled the trigger but couldn't, being overtaken by a second pistol that killed the man and then resulting in a gang beating on Victor, much more roughly then usual which resulted in severe injuries to Victor's body. Victor had awaken much later on, to what felt like days had passed to discover parts of him felt weird, as soon as he did a man, introducing himself to be Victor's father had walked in the room along with a tray of food and water. 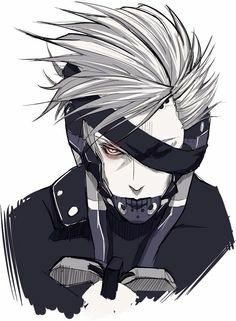 He was rather blunt and told Victor what happened to him, he had a few dislocated bones, a broken jaw, broken left eye and a bit more severe injuries, but his father had used his knowledge to fix up Victor in his own image, with his cybernetics. He revealed that it was the reason why his mother had left him, because he had unwilling test subjects to for his cybernetic research. Victor didn't know how far his father's abilities or his capabilities were, and wasn't a big fan of the cybernetics that were placed upon him, but he didn't seem to have a choice as when he tried to put off the hard metal implanted on him, it just brought out unbearable pain. His father then brought up about the corruption that ran in Illusia, not just in Victor's side of town but far more spread in all of Illusia then he knew, and that if given permission he'll fully upgrade Victor's metals for combat, to be more comfortable to him and make it so it's not as easy to hurt Victor when he tried to push the metal earlier, with a bonus gift. His father pointed to a black fruit placed upon the tray, with weird patterns and shaped in a peculiar way. He then finally said "Once you eat that fruit, you'll be free of your past, follow your ambitions." He didn't know what he meant, but at the time he was still very naive, he wasn't especially one to not look a gift horse in the mouth. He ate the fruit and even though he thought it tasted disgusting, his father placed Victor back onto the operating table to complete the rest of the surgery. Enter Blackjaw, a man with a clear goal and purpose in mind... becoming a vigilante of the law, most wouldn't recognize Blackjaw for being Victor because the change into a cyborg had changed his appearance significantly. He had some combat experience in his youth but his new powers, he grew into it relatively well when he experimented his new body against undoubtedly robbers, muggers and the like. 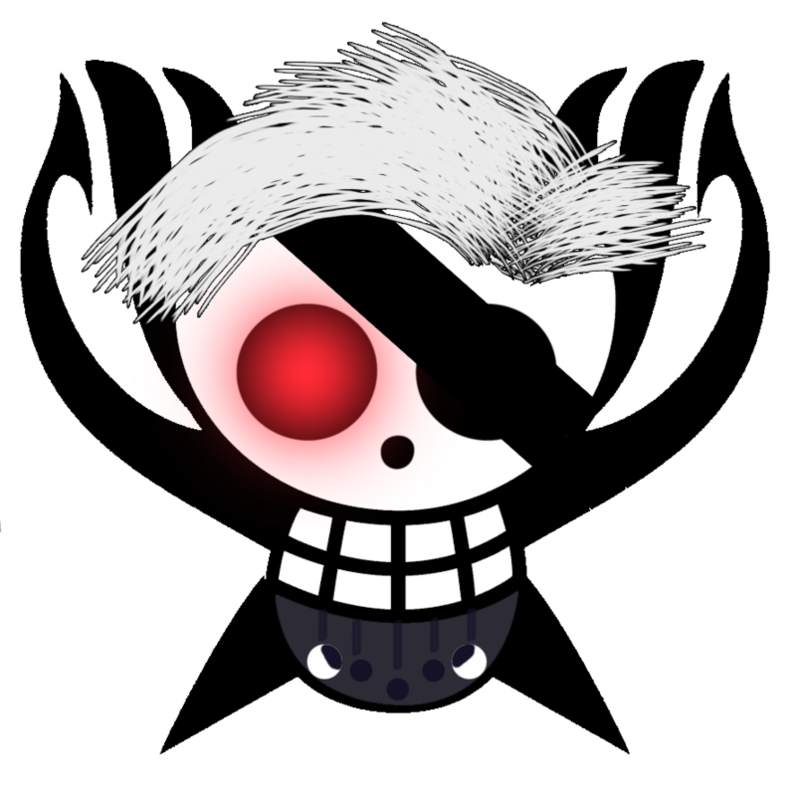 He had used his devil fruit which is the Shadow-Shadow fruit a few times, but depended on his cyborg side more. The word had gotten out that Blackjaw had started to prey upon those who would attempt to break the law, and undoubtedly crime and corruption had started to go down slightly in Illusia. The marines eventually took notice and took steps in trying to undermine what Victor was doing with little success. A severe choice was made at one point however, with Victor either killing or leaving a man to be arrested by the marines, it was a hard decision at first but when Victor remembered the corruption of the marines he decided to kill the man. Victor however started to enjoy the new powers he gained too much, and started to abuse it to become the very thing he hated, starting to rule over Illusia's underworld with an iron fist. His father had been reluctant about how he went on this new path, but Victor had convinced him crime will always be there, but if he controls it it'll be less chaotic then it was before. Victor didn't keep his word on this however as he started to be the figurehead of more illegitimate activities that seem to be happening under his name, he rushed to complete any business left on the island however and bought a ship for his new crew, he had plan to set sail and seek for something greater than to be some crime lord on one island in the West Blue. He imagined that he might come across his father once more, or come across associates of his that might try to undermine Victor's adventure, but with his new crew which he named the "Blackjaw Pirates" along with his personal jolly roger, he felt he was ready to take on any challenge that may come his way. Cybernetic Resilience: Due to his cyborg installments Victor has a strong resilience to most attacks as the cyborg instalments act as a form of defence much like a shield, his cybernetic body parts are his jaw, left arm, chest and both legs. Street Smarts/Criminology: Growing up on the rough side of Illusia, plus partaking in criminal activities himself both at a young age and later in his adulthood, he has knowledge of how criminals would usually operate. "A scary power, for sure..."
Devil Fruit Abilities: The user gains the ability to manifest and control shadows, as a tangible and physical form. • The user can manipulate his own shadow anyway he likes, the hardness of the shadow is akin to the user's own resilience. • The user's shadow can only go up to 20 meters from the user. • The user's shadow can only go up to 50 meters from the user. • The user can steal an opponent's shadow and plant it into himself for extra power. • The user's shadow can only go up to 100 meters from the user. • The user can steal an opponent's shadow and plant it into a corpse to make an obedient zombie, the user can make up to 10 zombies this way. • The user can switch places with his doppelganger, a teleportation. • The user's shadow can only go up to 250 meters from the user. • The user can steal an opponent's shadow and plant it into a corpse to make an obedient zombie, the user can make up to 25 zombies this way. • Lack of access to shadows, since the users fruit depends on using shadows. • If the user has implanted shadows into himself, a hard enough impact to him will force him to cough it out. "I can do a few wonders with my fists..."
Shadow Fist/One-Two Punch: Victor gives a quick jab towards the opponents stomach with his left cybernetic hand and before they have time to react to the impact, Victor sends a right fist up the opponents jaw. Shadow Fist/Quick Jabs: Victor gives a barrage of quick punches towards the opponent, with the intention of at least hitting them more than hurting them. Shadow Fist/Powered Jab: Victor would tense his left arm for a few seconds, and when he believes the time is right sends a powered punch with his left cybernetic arm towards an opponent. Kage Kage no Mi/Knife Barrage: Victor uses his shadow to make a number of knives and launch them towards an opponent, the max meters they go is based on the user's DF mastery level. Kage Kage no Mi/Swarming Bats: While harmless, in great numbers they can swarm an enemy to either distract or annoy them, to possibly fatigue them out.